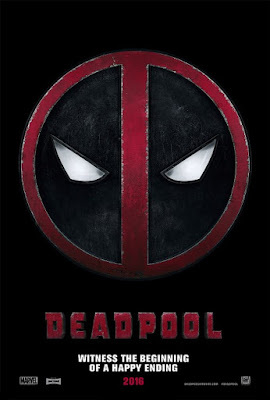 Reel Talk Online: Is DEADPOOL Supposed To Be A Comedy? Is DEADPOOL Supposed To Be A Comedy? Not like I am well versed in the Marvel superhero world at all, but I definitely didn't expect the trailer for DEADPOOL to be so silly, as in a comedy. Ryan Reynolds stars as the masked hero in the first footage from the film, which I know had polarized fans early on with its casting choice (I really have no beef with Reynolds, but...I did see The Green Lantern, so...). DEADPOOL, which also stars Gina Carano and Morena Baccarin, is in theaters February 12, 2016. I think this movie is going to be more in line with Super than Ant-Man. Seems like it's going to be gory and a hard R, which is a welcomed change, IMO.